Written By Christina England, Greenmedinfo, partner of The World Mercury Project. 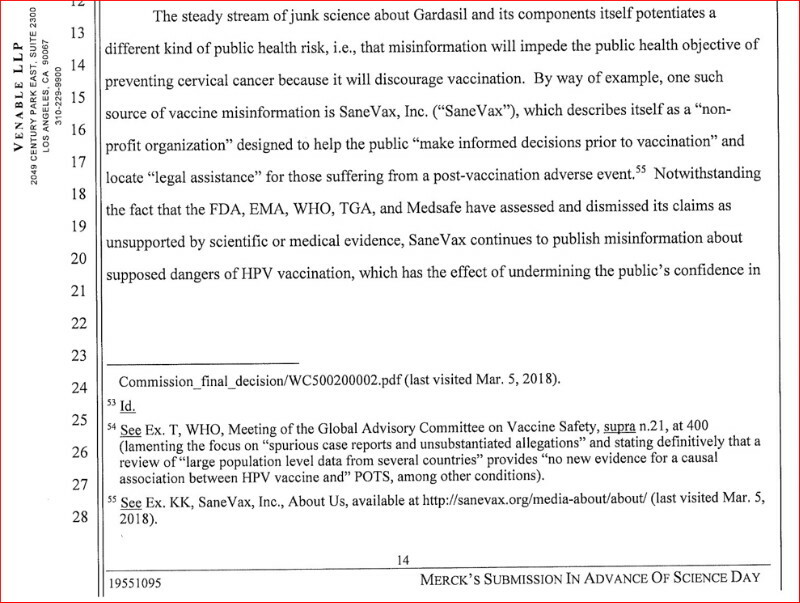 Merck had wrongfully and deceitfully failed to perform in the preapproval processing period and thereafter, the material scientific and medical investigations and studies relating to the safety, effectiveness and need for the Gardasil vaccine as required by and under the FDA directives and regulations. In an unusual step the Judge in this case, agreed to hold a “Science Day Hearing” to enable the court to get a better understanding of the science behind the HPV vaccine. In advance of the scheduled science day presentation both parties submitted briefs that outlined their side’s view of HPV vaccine science. In other words, for the first time ever, both sides including the vaccines manufacturer Merck, were given the unique opportunity to present to the court, their up-to-date science and studies proving the safety and effectiveness of this vaccine. The information provided would prove once and for all, whether or not Gardasil was not only a safe vaccination but necessary in the fight against cancers caused by the HPV virus. © April 17, 2018, GreenMedInfo LLC. This work is reproduced and distributed with the permission of GreenMedInfo LLC. Want to learn more from GreenMedInfo? Sign up for the newsletter here: http://www.greenmedinfo.com/greenmed/newsletter.